An organisation on Figured would generally be an accounting practice setup for the purpose of managing their group of clients. An entire organisation can be added to a farm, meaning each member of the organisation does not need to be added one by one to a farm - they will all gain access once an organisation has been added. Access rights are given to an organisation from within a farm. There is no way for a organisation to add themselves to a farm unless a member has existing personal user access to the farm. 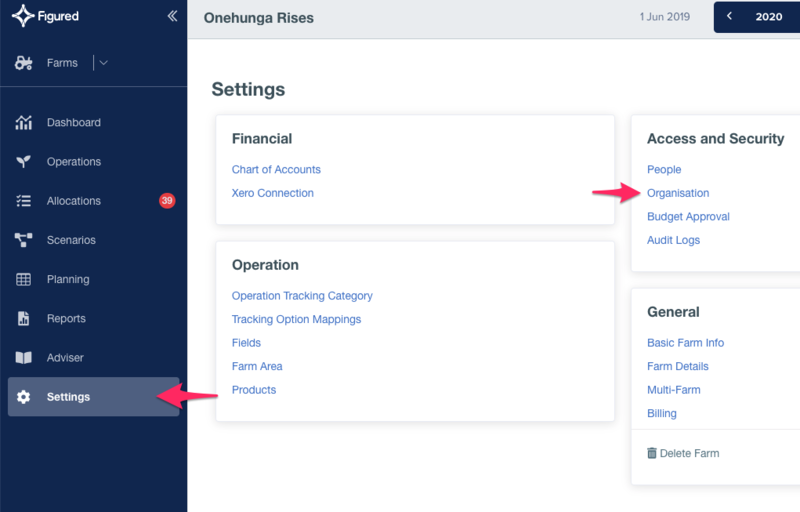 To add an organisation to your farm, head to Settings > Organisation. This will display a page which lists all the organisations that have access to your farm. To add a new organisation, click Add new organisation. 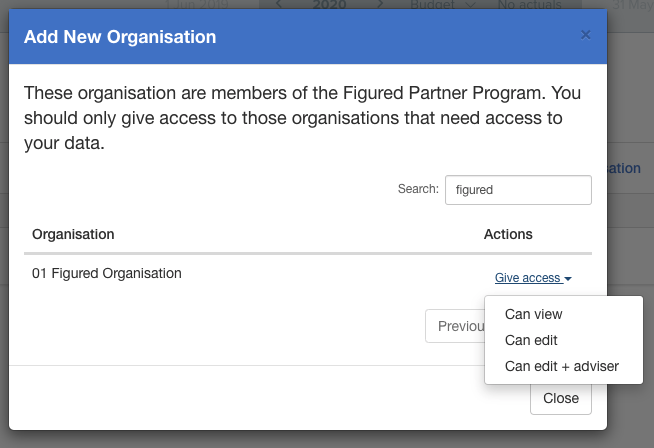 This will display a new form which lists all available organisations on Figured. Using the search box, start typing a new name and it will filter all results for you. Once you've found the organisation you wish to add, press Give access and decide the level of access you wish them to have. Once done, this newly selected organisation will now have access to your farm.